Mid February to Mid May, fish the peak of our Barra season. 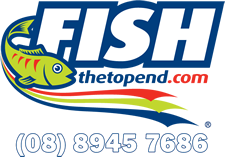 At Fish The Top End we work with the best of Northern Territory fishing guides and fishing charter operators. 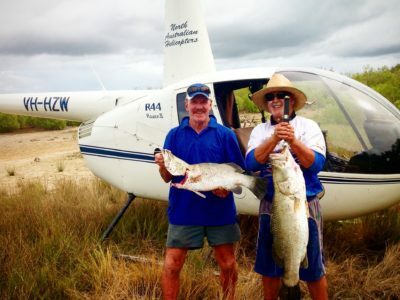 Because of this we are ideally situated to hook you up with the best Darwin Fishing Charters & Darwin Barra Fishing Tours available. 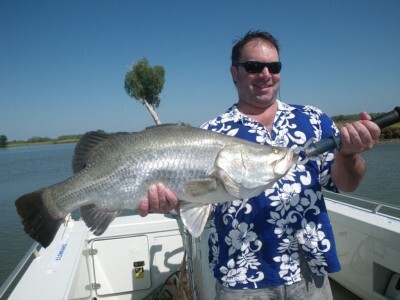 The Northern Territory is the home to Australia’s premier freshwater/estuarine sport fish, the Barramundi or Barra for short. 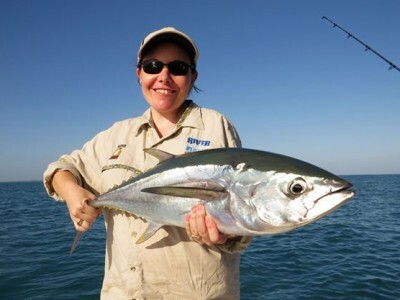 Consequently thousands of Anglers from around Australia and the world travel to the Northern Territory to experience Darwin Barra Fishing. 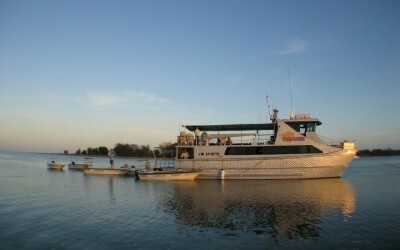 Due to this quest a thriving barra fishing charter industry has grown. 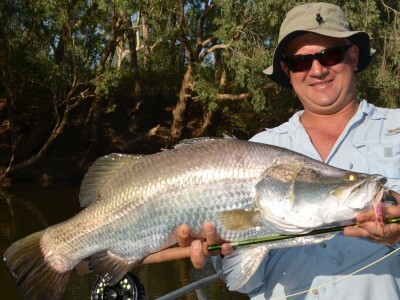 The Top End has many top quality accredited Barramundi fishing guides to help novice and expert alike catch a Barra. 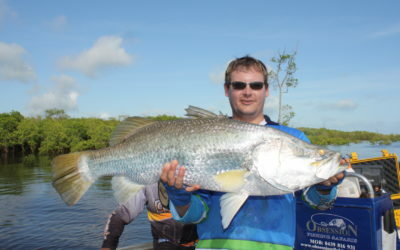 While the Barramundi is certainly a popular target species for Anglers, the Top End also has some sensational Blue Water sport fishing available and a top class Darwin fishing Charters fleet ready to put you on the fish. 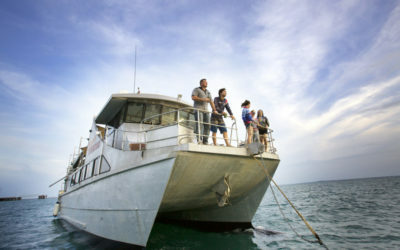 First stop and point of entry into the Top End for the majority of fishing visitors is the Northern Territory’s capital city Darwin. 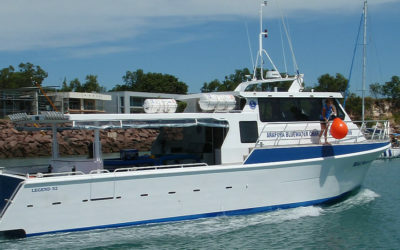 This modern multicultural city can be both an ideal base for your Darwin fishing charters adventure or your launching point to many of the Northern Territories great fishing locations. 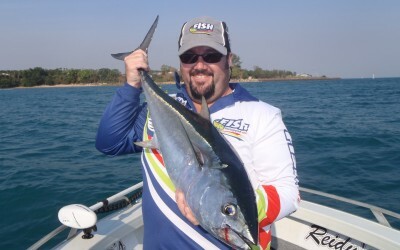 As Darwin is the base for the majority of the Northern Territory’s fishing tour operators Fish The Top End has put together an extensive range of Darwin Barra fishing tours and Darwin Fishing Charters which are based around or departing from Darwin. The N.T. 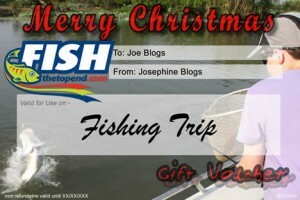 and Darwin are known around Australia and the world as a top class fishing destination. 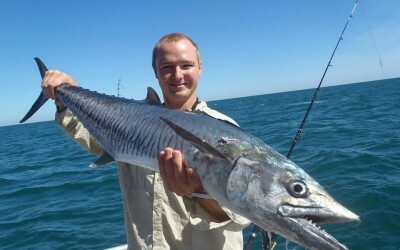 A flourishing fishing tourism industry now supports many top class Darwin Barra fishing guides, camps, lodges and Darwin fishing charters.